Obviously, a big part of doing my hikes is sharing it with all of you. 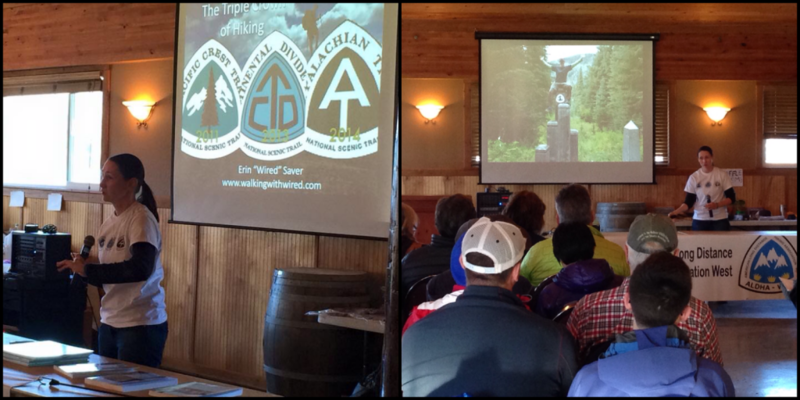 I’ve never really been able to fully express in writing how much blogging and sharing the hikes through presentations has enhanced the experience for me personally. 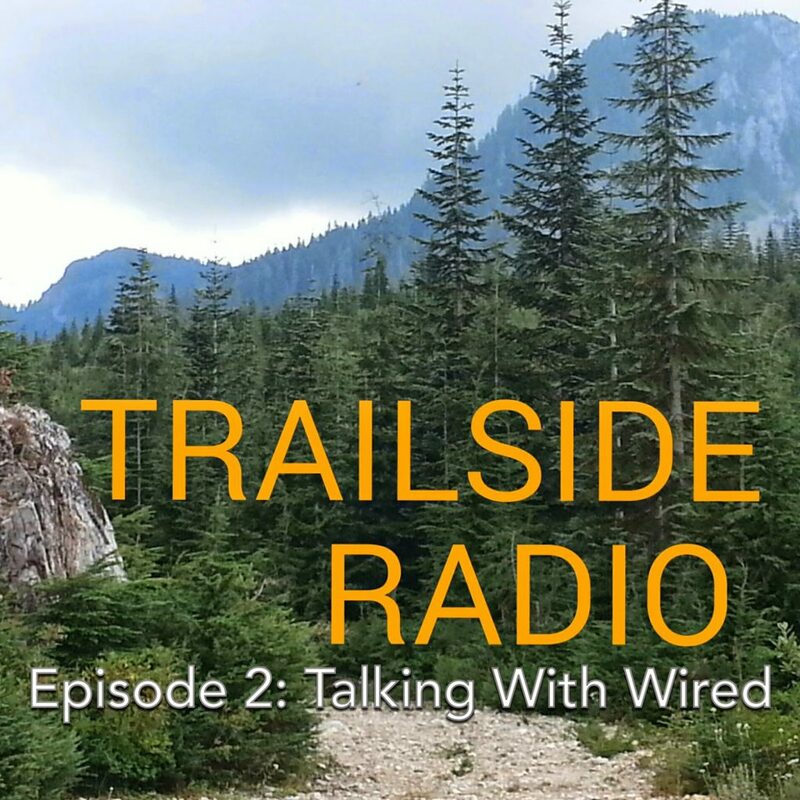 I had the opportunity to be on a new podcast, Trailside Radio, to talk specifically about blogging along the trail and how much it has given me in the past four years. For those of you that haven’t been able to come to a presentation, this is a window into that a bit. I am very happy that I was able to fully communicate what this whole blogging experience has meant to me thus far. Really, it’s been a privilege and it’s given me a great sense of purpose, so thank you. Many of you have been with me from the first post and I think that you will especially value this knowing how far we’ve all come together. The host, Daniel “Ratatouille” Hepokoski will be doing his first long hike (on the PCT) and will be doing this podcast along the way. I know what he has in store and he has done a great job of interviewing local Oregon hikers with quality content and showing that sense of community. In this episode, he starts out interviewing Sage Clegg, a solo female trailblazer that I greatly admire and someday hope to overlap with more extensively. Just really happy to even share this episode with her. Best of luck to Ratatouille on the PCT! Click here, go to iTunes, or podcasts on your phone to download or push play below to listen here. I start at the 27:45 mark and ramble on for ~40mins. Enjoy! Those of you that follow me on Facebook and Instagram have seen that I’ve been doing presentations regularly, but I haven’t had time to post about them on the blog. They are equally exhausting as they are rewarding for me. I have now gotten into a groove of regulars that I will do each year if all goes to plan and I complete this summer’s hikes. One of them is all the REIs in the area. 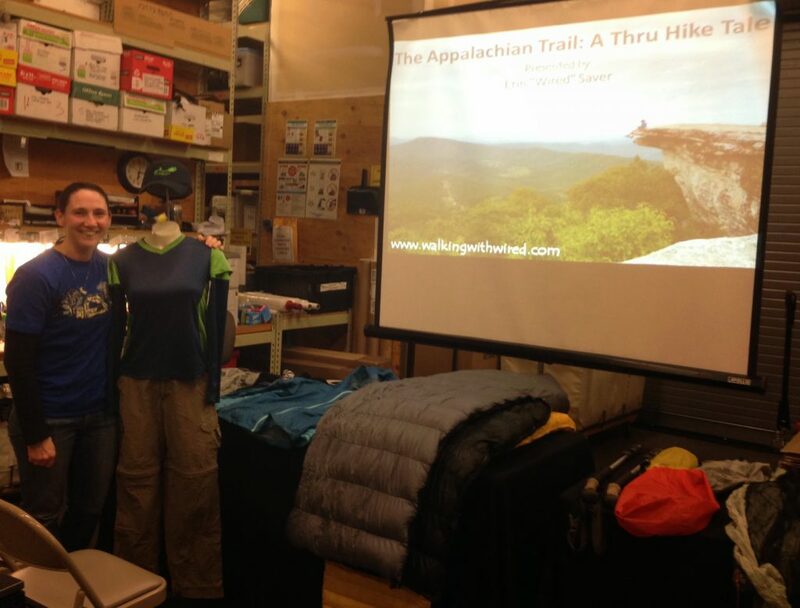 I’ve really enjoyed those and often get to bring the trail to people who are not familiar with the blog and it’s great to present to a new crowd. 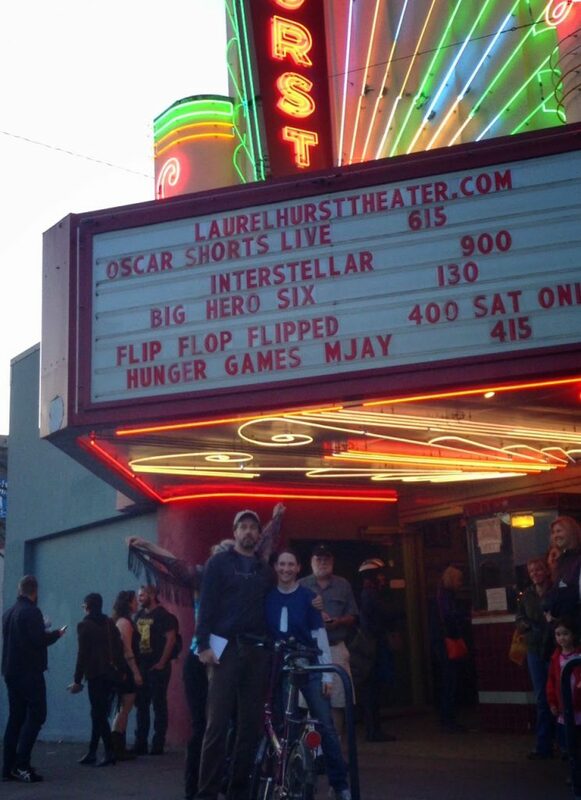 With Squatch at the premiere.